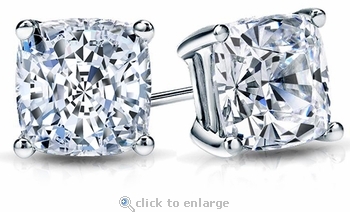 Adorn your ears with our 7 Carat Each Cushion Cut Square Cubic Zirconia Stud Earrings. 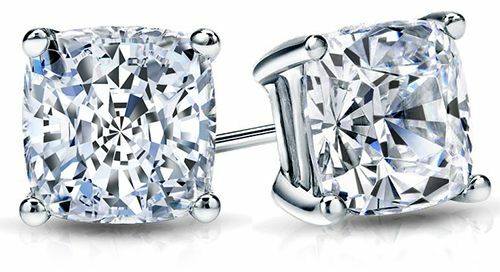 Each earring features a 7 carat 11mm lab created laboratory grown cushion cut square shaped Russian formula cubic zirconia that is hand cut and hand polished to exact diamond specifications and set in a classic 4 prong basket setting. 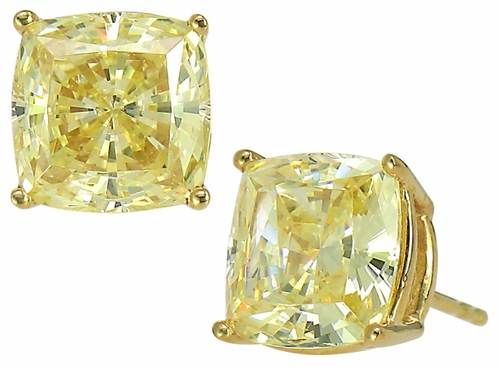 The cushion cut has rounded edges and include 104 sparkling facets. Studs are the perfect accessory for every day wear, night time or for that special occasion. 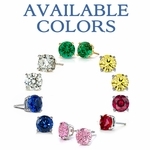 Our cushion cut earring studs are available in 14k yellow gold or 14k white gold, 18k yellow gold or 18k white gold or luxurious platinum. 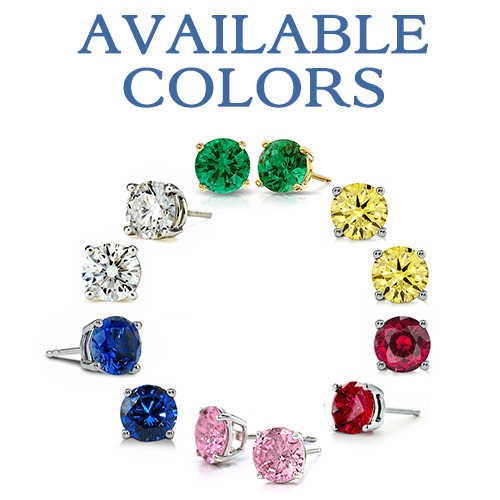 Also available in various stone color options that include man made ruby red, sapphire blue, emerald green or pink, simulated canary yellow, or diamond look. Choose from standard push backs, screw backs or our jumbo large backs with provide additional support and comfort. For further assistance, please contact us directly at 1-866-942-6663 or visit us via live chat and speak with a knowledgeable representative.